Home / News / Appeal to sponsor the production of a play about a loyal fan, who feels helpless as his club goes through a turbulent ownership period and drops down the league. Blackburn Rovers' Supporters Trust appeals to you, as a fellow supporter and member of the “Football Family’, to help us protect our proud, historic club and join the fight on behalf of powerless fans everywhere. From Rovers’ establishment in 1875, alongside every promotion, relegation, cup run and league game, the club has been the lifeblood, the heart and the soul of the local community. The Rovers' Trust was formed to safeguard the long term future and health of the Rovers. Its board and officers act in a voluntary capacity serving for 2 years after being elected by the 800+members. 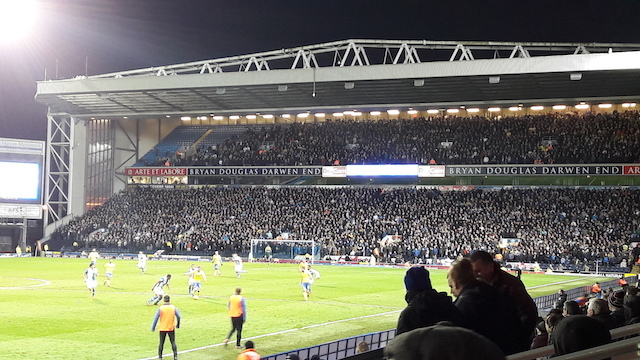 Rovers' fans have shown, repeatedly, their pride and commitment to our Football Club; yet, we have no say or involvement in the running, or future of the club. The Trust has worked tirelessly over the last 8 years to persuade the FA, Premier League and English Football League in order to improve the safeguarding of the organisation and control of our Football Clubs. The Trust has decided to embrace a new medium and take the fight to the theatre to show the anxiety and devastation of being a true fan in these circumstances. 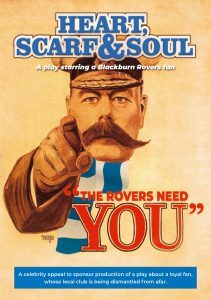 Blackburn Rovers was an original founding member of the football league; therefore, the Rovers' Trust should also lead from the front and stage this production, not just for Rovers' fans, but also for the fans of clubs like Blackpool, Coventry, Wimbledon and Charlton etc. We feel it is time that the football authorities were made to sit up and take notice. We urge you to support this play and plight, providing a platform for the voice's of true fans to be heard in an exciting and revolutionary way. Please join our campaign and help us reach our ten thousand pound, production target. This will towards theatre hire, actors, costumes, rehearsal rooms etc and a production run to kick-start a national, campaign for fans of every club colour'.